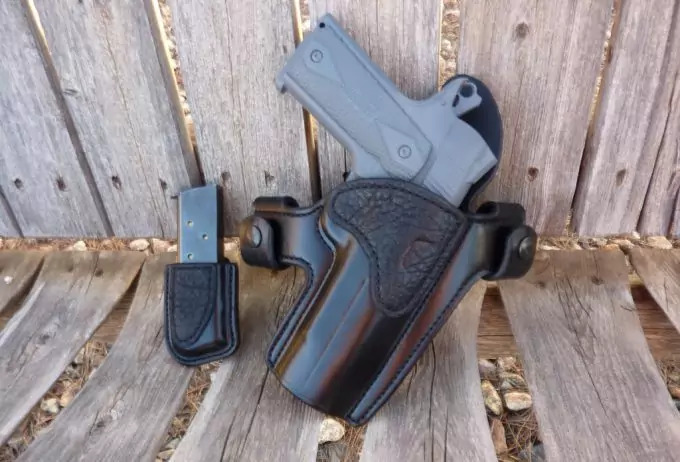 A holster for handguns is designed to hold or prevent the unwanted movement of the handguns while a person, especially a law-enforcing officer, is moving. In general situations, a holster is placed in the part of one’s body from where a gun can easily and quickly be withdrawn. In addition to that, it provides protection to that gun. 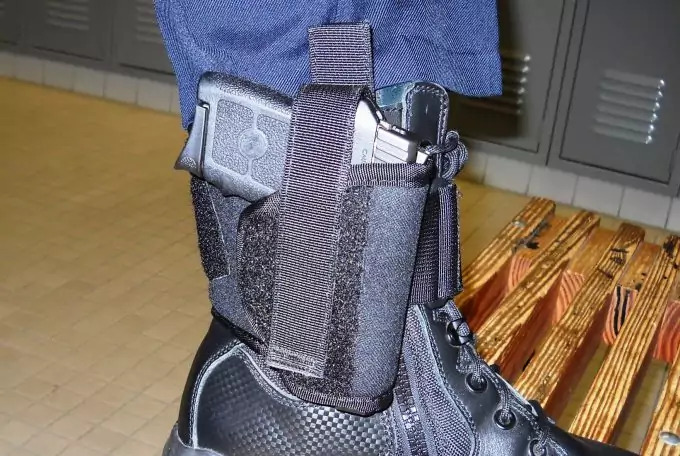 However, an ankle holster provides an exclusive opportunity to conceal a secondary weapon to give a backup for the primary weapon of law enforcement officials. For that reason, law enforcing officers like this product. Another name of it is Boot Holster. You may be familiar with ankle holster from the movies; the good guy finishes his bullets and when he is about to get shot by the bad guy he suddenly tricks to bend and bring out the firearm hidden under his pant. He shoots the bad guy and wins. Researchers have suggested that, it is relatively a new development of holster. Law enforcing officers often have to take part in dangerous missions. Ankle holster will help them to have an extra weapon, which the difference between life and death. whether the holster can stop two kinds of movement of the hammer – forward and rearward. These three characteristics are very common and the safety features of a holster should include them. When a person is buying an ankle holster, he or she should check that whether these features are available. Retention: It is another important factor, which should be remembered while buying an ankle holster. 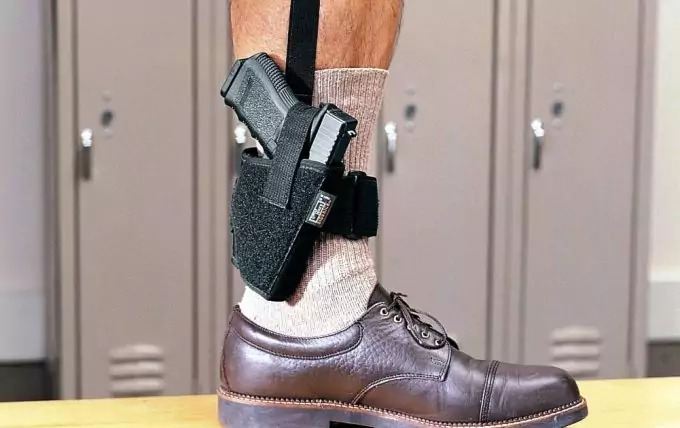 This factor signifies that, the ankle holster should be able to prevent any person other than the person carrying the firearm from removing that weapon. In recent times, the modern ankle holsters are designed with several hidden retention techniques. In consequence, it helps the user to protect it from unwanted removal by other person. In addition to that, holster retains the gun properly, which indirectly saves the user of the firearm. Modern technology has now improved the design of holsters. Now, producers of ankle holsters produce specific designs for specific guns. Concealment: One of the main reasons of wearing ankle holsters is concealment. Obviously, the law enforcing officer would not prefer to alert any other person, including a person intending to harm, that he is carrying a secondary firearm. Ankle holster are generically produces in small size; therefore, it can easily be hidden under the garment and attached with the boot. Comfort: When you are going to buy an ankle holster, try to check that whether it is comfortable. This is because, you may need to wear this all day long. In addition to that, you have to decide whether you will wear it inside of the leg or outside of it. Finish: The holster should be well-designed; it should not create difficulties to the firearm and overly roughen its finish. Ease of drawing: The ankle holster should allow the gun to be drawn with ease and quickly. 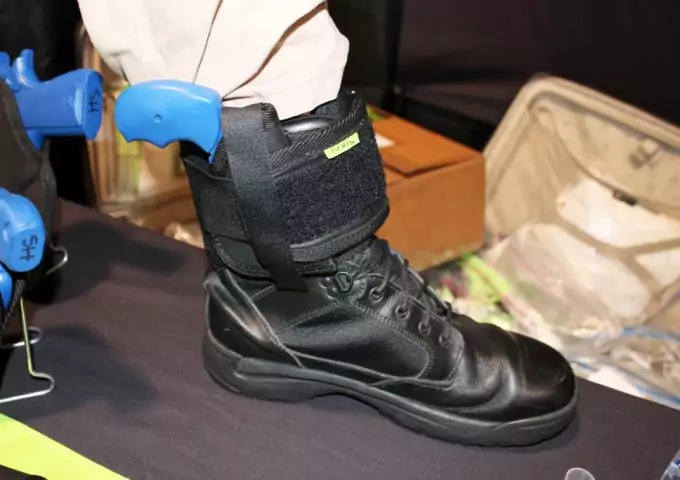 However, as in most cases ankle holster is designed to conceal and use it from that concealment, for that reason, this purpose may be compromised to some extent. If you need more ease of drawing, we recommend an appendix carry holster. This design is specially created to be easy to draw and re-holster. Durable: The ankle holster should be durable. It can stand against the abuse and should have the ability to use on a long-term basis. During this time, it should be able to avoid any mechanical disturbance and decreased performance. Adjustability: The ankle holster should be adjusted properly with your ankle. It should also provide an adjustment to the firearm. 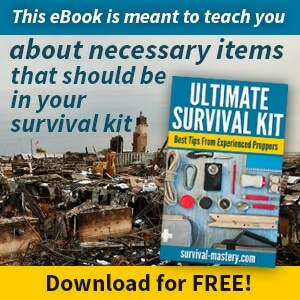 It will not hamper your comfort and will aid to be easily concealed. Price: The modern holsters generally cost between $ 20 and $ 200. You can choose your own style of ankle holster within this price range. Although you can consider all of them, ultimately safety, comfortability and durability are the most important factors. In addition to that, you can have your personal choices. Consider them. You can further discuss about these with a professional person. Ankle holster is one of the common types of holsters sold in the market. Before buying it, you can consider the following positive and negative sides of wearing ankle holster. Considerably, these are the positive sides of an ankle holster. You can carry an extra weapon on your ankle. Wearing an extra weapon on your waist can make heavier your belt. 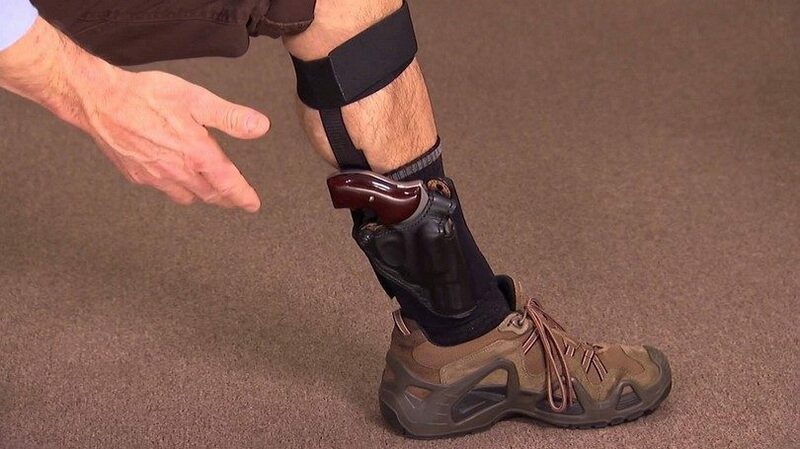 If you wear the firearm with your ankle, you will carry a firearm without any further problem. You can conceal a pistol or revolver with your ankle. It will be very wise to keep an extra weapon when you are in a mission. If you are driving or you need to sit as part of your work, it will be very easy for you to draw your weapon from your ankle. You will only be able to carry a small sized firearm. A small sized firearm has small range and can carry few bullets. For bigger guns, you should consider a shoulder holster – we have a great set of reviews here. It can be an extra weight on your ankle. Although it can be concealed, the undeniable fact that it is not unnoticeable. For that reason, there is a chance that your opponent can notice it and the purpose of hiding the gun will not be achieved. In addition to previous disadvantage, wearing ankle holster with the ankle can be revealed by one’s walking style. For being safe, you should practice walking wearing an ankle holster. You need to wear it ankle, that means it will be close to the ground. As a result, there is a significant chance that, the holster will be covered by dust and dirt. It will be dangerous if the gun is jammed by dust and dirt. The crucial issue is that, it is necessary to kneel and bend over to reach the weapon. It can be dangerous if you are facing an adverse situation. You may fail to reach your firearm; bending to reach your arms by bending yourself in front of your opponent may not be a good idea. Another challenge is that, you will need to choose particular type of footwear and trousers. You need to a wider cut pant and footwear should be longer than it is normally used to be. After considering the above mentioned pros and cons about ankle holster, you have to decide whether you want to buy it or not. Now if you are worrying or are not confident about the method of using an ankle holster, you can take advice from the professionals. Kneel down: you can keep the firearm inside or outside of your ankle. To reach your pistol or gun, you have to kneel down at first and put out it for firing. You can put the firearm on your stronger leg or at the suitable place for your strong arm; that means if you are a right handed, you can put it of the right side of the right leg. If you wear it on top of your pant material, then you can reach it easily. However, if you hide under the pant material, then you have to remove it (take it upwards) and then reveal the holster for your access. Remember, you have to be very fast for doing this. For that reason, there is no exception of regular practice. Ayoob method: It is also known as step out method. When you are in a standing position, deceive your opponent showing that you are stepping out. When you are stepping out, keep your eyes on your opponent. At the same time, your pant material will go up and you will have an opportunity for drawing the firearm quickly. Bend down slightly for that and draw the firearm. Finally, shoot your opponent from the standing position. 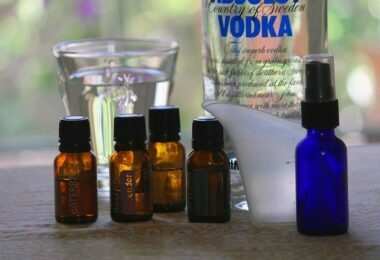 Finally, it is noteworthy that, there is no exception of practice. You have to practice more and more and gain agility. Otherwise, it will not be wise for you to use a firearm attached to your ankle. It is helpful for the right handed person. It is made of excellent leather and designed with absolute talent. It has several colours and you can pick your own favourite colour. 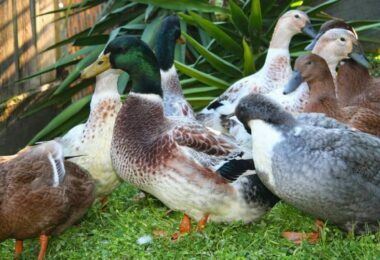 However, it is suggested that, you should choose a colour, which will be helpful for camouflage. Besides these, you can buy its smaller components online. Its price range is from $50 to $80. Users of this holster always appraise regarding its design, weight, comfortability and durability. Its design is very suitable for adjustment with the ankle. It is very light, which will allow you to move very easily and smoothly. Moreover, sheepskin is added to strap the holster with your ankle with more ease. It makes the holster more comfortable. 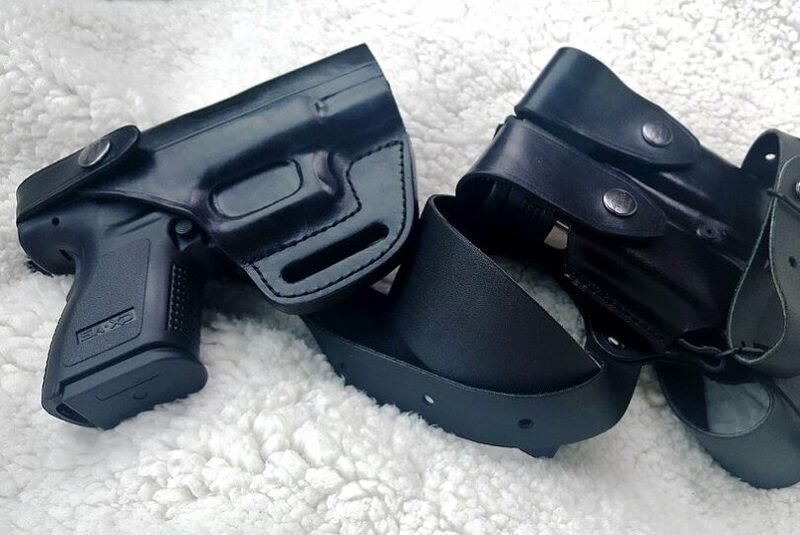 Many users suggest with confidence that, “if you are wearing this holster, you can wear it for 1 week, 6 months even for one month. 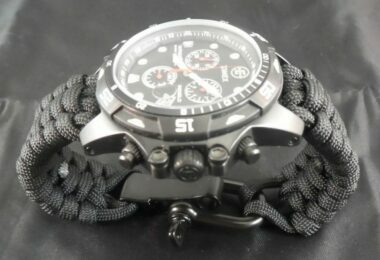 You will not even understand you are wearing it unless you need to use it.” It is durable as well. The price of this excellent product is only $80 to $100. Although it is comparatively cheaper, it is one of the most popular ankle holsters. It is made of very comfortable and soft knitted fabric. The exclusive characteristic of this product is that, to prevent moisture and to provide comfort with pad, it is arranged a closed cell form. As a result, if you find that you are sweating a lot, at least you can feel relief thinking that your gun is not being affected by that. An additional non-stretch retention strap is added for your further help. As it is already mentioned, its price is cheap. The range of this ankle holster’s price is from $20 to $50. It is an amazing holster. In its waistband, there is a body shield. In addition to that, beside of the thumb break, there is a 1.5” belt slot. If you are a right handed person, then you can pick and buy. However, if you are a left handed person then do not worry. You will need to order it and the company will send you the product. Its price is reasonable too. You can buy it at $55. Now you know the main characteristics of some of the best ankle holsters and the budget. To conclude, a firearm on your ankle can be your great friend and a life saviour. A perfect ankle holster is for that reason can be the best support of this firearm. If you consider that, you want to keep a gun on your ankle, then visit a store after reading this article and feel confident about it. Finally, there is no exception of practicing. Practice intensely and gain excellence. Furthermore, try to discuss about the matter with professionals. 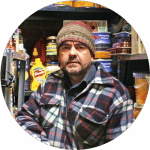 You will be able to know advice that is more practical. Sometimes real life stories can inspire you to choose the right path.